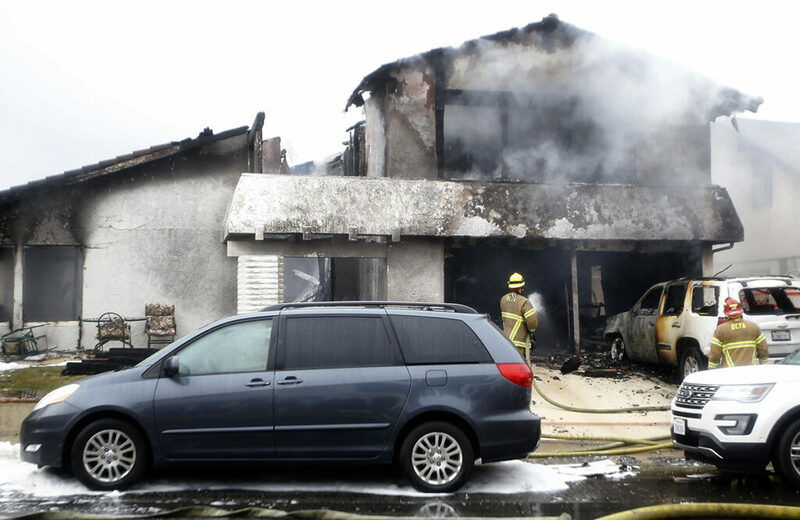 The twin-engine plane crashes and sets a home on fire in the Los Angeles suburb of Yorba Linda. 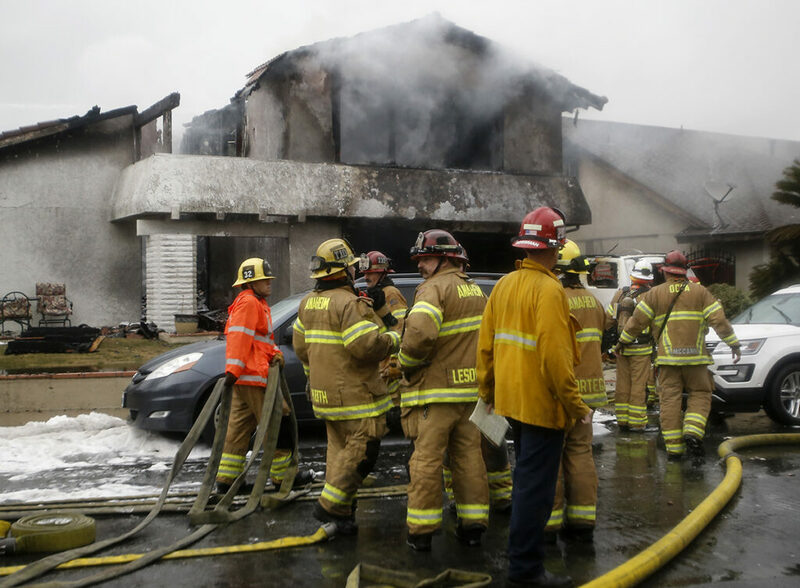 Firefighters work the scene of a deadly plane crash in the residential neighborhood of Yorba Linda, Calif., Sunday, Feb. 3, 2019. The Federal Aviation Administration said a twin-engine Cessna 414A crashed in Yorba Linda shortly after taking off from the Fullerton Municipal Airport.